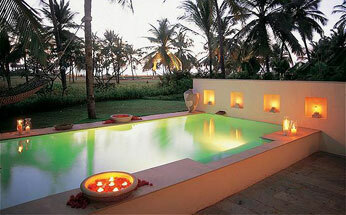 Taj Exotica beach resort situated on the southwest coast of Goa offers a stunning view of the Arabian Sea. 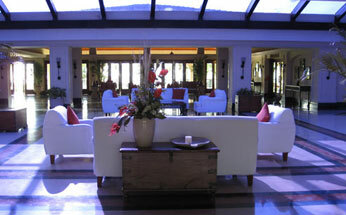 The resort is conveniently located within a 45 minutes drive from the airport. Nestled amidst 56 acres of lush green landscape greenery along the vast stretch of Benaulim beach, it is one of the premier resorts in Goa. Taj Exotica beach resort ensures complete comforts amidst tropical gardens, elegant decor, sun-kissed atrium, corridors canopied with greenery and patios lined with blooming buds. The resort has wonderful wedding venues. 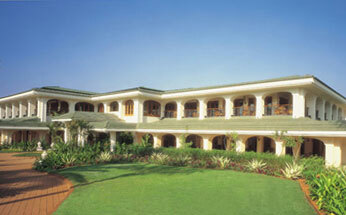 Salagrande with accommodation capacity of 800 persons is ideal for weddings. 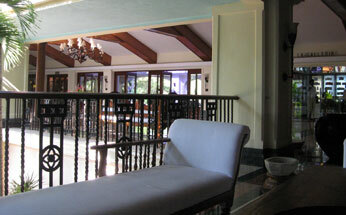 Two Saleta halls with capacity to accommodate 45 persons each are good for pre –wedding functions. The other venue Sala Media has a capacity to accommodate 100 persons. Taj Exotica resort has 140 rooms in total classified into 66 Garden Villas, 31 Deluxe Sea View Rooms, 9 Sea View Villas, 4 Garden Pool Villas, 8 Luxury Rooms, 6 Sea View Pool Villas, 8 Sunset Villas with private pool, 2 Luxury Suites and 2 Presidential Villas. 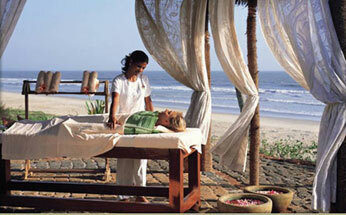 All the rooms of the resort are larges sized and elegantly equipped with all the amenities and services. 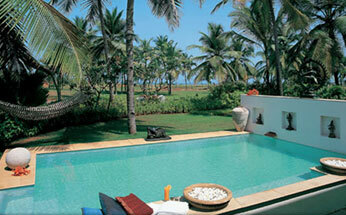 Every room has a private balcony offering stunning views of the azure waters of Arabian Sea. 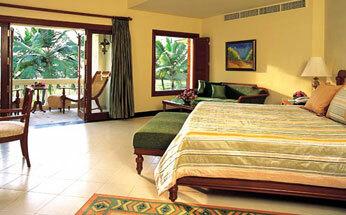 All the rooms are equipped with state of the art amenities to ensure comfortable stay. 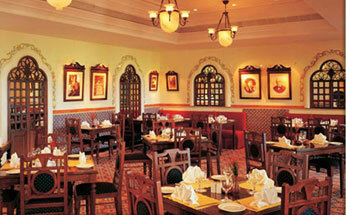 Hotel Taj Exotica offers excellent dine and wine facilities. For this purpose the hotel has its own Restaurants, Coffee Shop and Bars.